Browse our wonderful range of scented candles and reed diffusers by the style of aroma that you want in your home. Exhibit a beautifully fresh smell from ingredients inspired by mother nature, or see our floral range for crisp, clean and fresh fragrances. If the outdoors is not quite what you are searching for, then view a range of powerfully fruity, gourmet fragrances inspired by spices and foods from around the world. You are also able to browse our range by season. Our fragrance experts have categorised our candles by the season in which they fit the best. 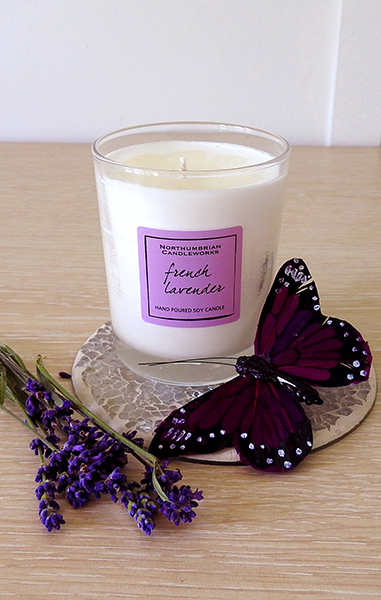 Enhance your home in Summer, Autumn, Winter or Spring with a beautifully scented candle. Fragrances can invoke sensations like nothing else. They relax, revive and invigorate you. Browse through our stunning selection of scents that will bring back vivid memories or enhance your daily life. A beautifully collected range of scents inspired and extracted from the palette of mother nature. Browse our floral fragrances and discover pretty aromas from the most sumptuous flowers. Wonderfully crisp, clean and light scents for a modern home. Our range of fresh fragrances contain ingredients that will make your home smell natural. A selection of mouth-watering, juicy fragrances that will remind you of summers abroad or indulging in a wonderful, sweet dessert. These delicate flavours give your home a sense of luscious warmth. An exquisite group of warm and deep fragrances, using the finest gourmet ingredients. Your home deserves rich, enigmatic aromas from some of the finest foods. There is nothing more rich and worldly than fresh and exotic spices. Browse from a range of incredibly aromatic spices to create a sense of opulence within your home. A gorgeous range of refined, earthy scents extracted from mother nature. Steeped in wonderful walks through rich forests, you can bring a sense of adventure inside your home. Our Autumn range invokes the smells that we associate with the falling leaves and shorter nights. Browse through fruits, spices, flowers and fragrances that most occur during the Autumn months. A brilliant collection of Summery fragrances that will help those long days soaking up the sunshine. Browse through a range of fruites, spices, flowers and fragrances that we see most during the Summer months. As the nights draw in Christmas approaches, we need wonderfully rich aromas to spill through our homes. Browse through the fruits, spices, flowers and fragrances that we enjoy the most during the cold winter months.